(Aurora, CO) Colorado Medical Waste, Inc. (CMW) is pleased to announce that it has made a significant commitment to environmental sustainability by joining Practice Greenhealth, a membership organization for institutions and businesses in the health care field who are engaged in reducing their environmental footprint. 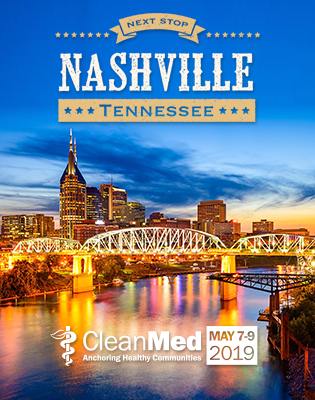 CMW is proud to be a member of Practice Greenhealth to partner and assist medical waste generators in healthcare and other industries to achieve their reduction initiatives and sustainability goals. “We are excited to make Colorado a groundbreaking state in protecting public health and the environment from contamination of medical waste. Our goal is that the work we’ve done will move others forward to adopt this green technology. We will continue to educate and encourage generators and regulators to make responsible decisions for medical waste disposal, to be environmental stewards and champions for change, because out of sight is no longer out of mind,” said Beverly Hanstrom, President and Owner of Colorado Medical Waste. CMW’s ozone medical waste processing facility is the first of its kind in Colorado and will replace antiquated, autoclave and incineration technologies of the past. CMW is approved to accept waste that autoclaves cannot and is trucked long distances to the few remaining incinerators left in the U.S. The ozone processor offers 90% volume reduction to a sterile, confetti-like residual. It reduces the extensive volume of medical waste buried in landfills and the detrimental health and environmental effects of incinerators. CMW has been in operation since 1992 collecting and transporting medical waste to commercial autoclaves and incinerators. Using electricity, the natural oxidation power of ozone produced onsite from simple oxygen by an ozone generator and an industrial shredder, CMW believes the automated ozone technology is the most environmental means of processing medical waste to date. CMW is on the forefront of environmental stewardship and is setting the standard for medical waste disposal. To watch view their video, get more information on ozone, and to see photos of ozone processed medical waste in front of autoclaved bags at the landfill, visit their website at www.coloradomedicalwaste.com.